For the 2017/2018 school year we are running 18 hot lunches split into two sessions. Order deadline is 1 week prior to hot lunch, orders can be paid by credit card, cash or cheque (dropped off at the school office, please clearly mark child’s division and what payment is for). All lunch orders must be pre-paid, all unpaid orders are automatically cancelled. Please watch for your confirmation email, if you do not receive an email please check with hot lunch via email as your order may not have gone through. We do however, carry limited extras on the day of hot lunch. We cannot guarantee that there will be extra food available on the day, if you are ever unsure please send an email, or send your child with extra food. 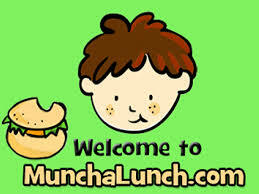 If you would like to volunteer or help out delivering lunches, please sign up through the Munch a Lunch website or send us an email. If you have any suggestions, questions or need any assistance with hot lunch, please send us an email hotlunchatbelmont@gmail.com.